Apple, besides inventing great computing devices and operating systems, also develops a lot of software. I’ve already blogged about iLife and third-party iLife-enabled applications like Comic Book. Apple also does iWork which contains two applications. The first one is a word-processor / desktop publishing program called Pages and the second one is a presentation software called Keynote. The next version of iWork will (if rumours are true) contain a spreadsheet. For some profound reason, I decided to give Keynote a try today (I’ve installed the 30-day demo version) and I must say things look good. I’ll use Keynote for some of my next presentations to see if it is good enough compared to OpenOffice Impress which I currently use. One nice rule to follow when doing a presentation is the 10/20/30 rule by Guy Kawasaki. A fantantic website with lots of resources and insights on presentations is Presentation Zen by Garr Reynolds. This page is particularly relevant. Thanks for the very interesting links. I have always been saying to myself that the corporate world tends to rely too heavily on PowerPoint and uses too many slides. I now have proof that I am right. Just checked the links on presentation tips/rule…Very insightful indeed! I am currently thinking of organising a Linux workshop at the University of Mauritius. I’ll keep you posted. Now, i don’t like to flatter people .. specially someone called A.Meetoo, but, like Yan (lugm) once told me, “Avinash c un putain’d bon prof”, plz don’t change your teaching style.. its perfect, just don’t change anything.. tension sa gatE.. infact.. i told sundeep that there was a change in the way you explained today.. mais li dir li pann remarkE. Anywayz, its good that you take feedback from student :p mr pascal also is cool like that. Thanks for the presentation links, after my presentation with hurd in the OS class.. i have found a nice way to get my audience to have a better understanding of what i am talking and without me needing to get stressed, i make lots of simpler “caricatures” about what i am talking about and present it in a situation that occurs everyday. Helped me in the webtech project. Heureusement ki mo ti mal travay dans sa presentation hurd la. Just invested in a netbook with linux running on it. 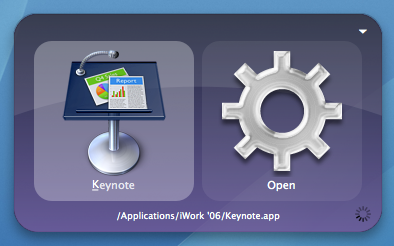 I luv keynote as an app, as I have a mac mini. Could I run Keynote on Linux or are their compatibility issues?